What? There’s a rumour that if you have the perfect kitchen, you’ll be inspired to cook. 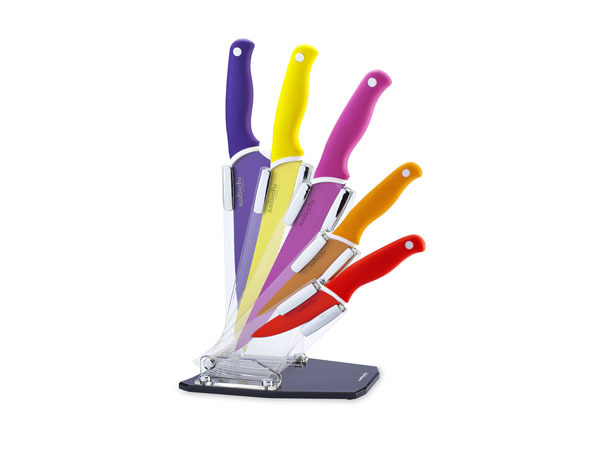 If that’s the case then this set of colourful ceramic knives, with a clear display knife block, should definitely be in your kitchen. It’s so hand and cool that even if you don’t get round to cooking up a feast, your kitchen will still look the part. Priced at £25.